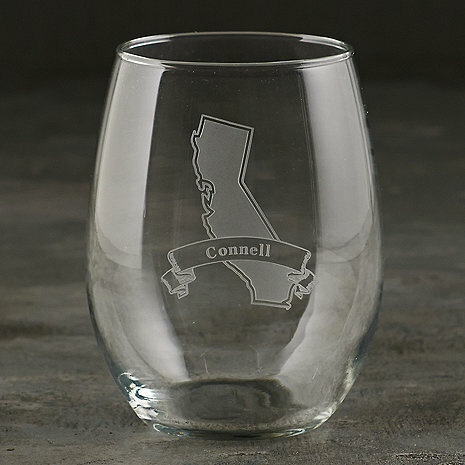 This set of 2 tumblers are deeply sand etched with the state of California. Personalize the banner with up to 12 characters. Made in the USA.